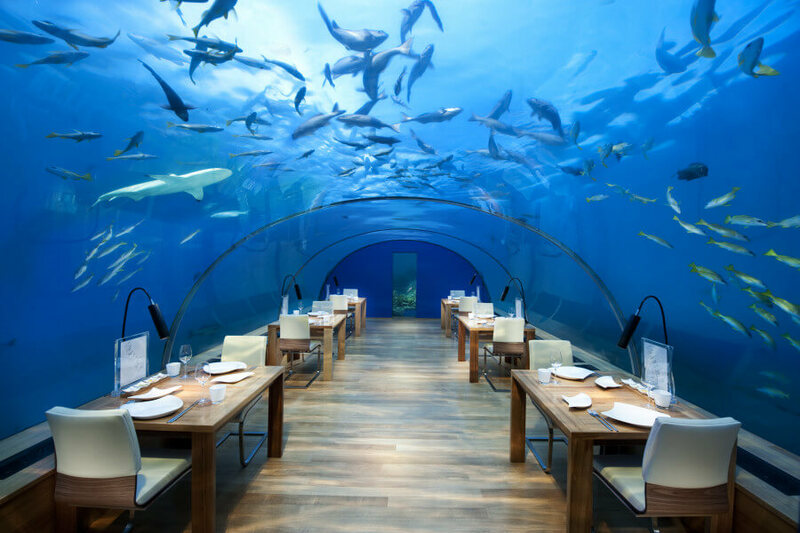 Set on two private islands with a unique underwater glass restaurant, the Conrad Maldives Rangali Island offers an escape for couples and families alike. 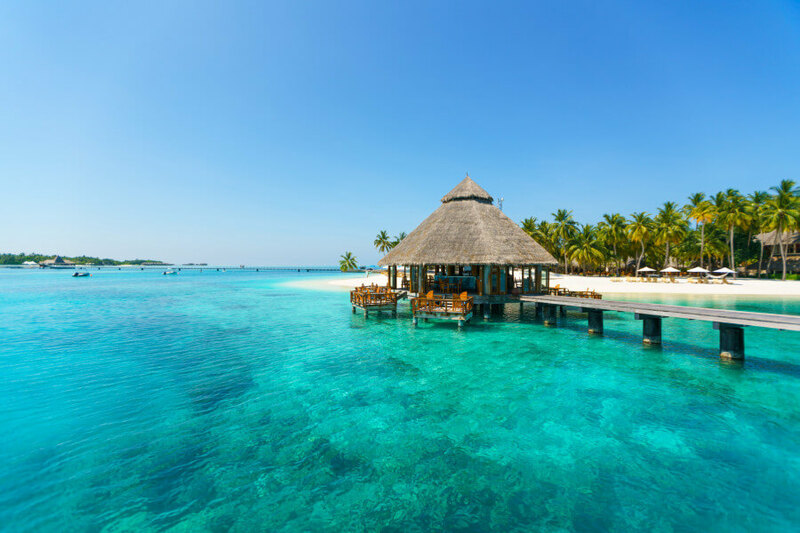 The Conrad Maldives Rangali Island is a stunning Maldivian resort spread over 2 private islands, Rangali and Rangalifinolu Island that are linked by a 500m wooden walkway. The two islands are distinctly different. 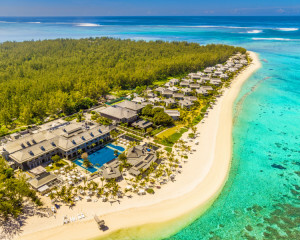 Rangali Island, by virtue of being smaller, exudes an intimate atmosphere with several areas exclusive to adults including an adult only swimming pool and The Quiet Zone Lounge Bar. 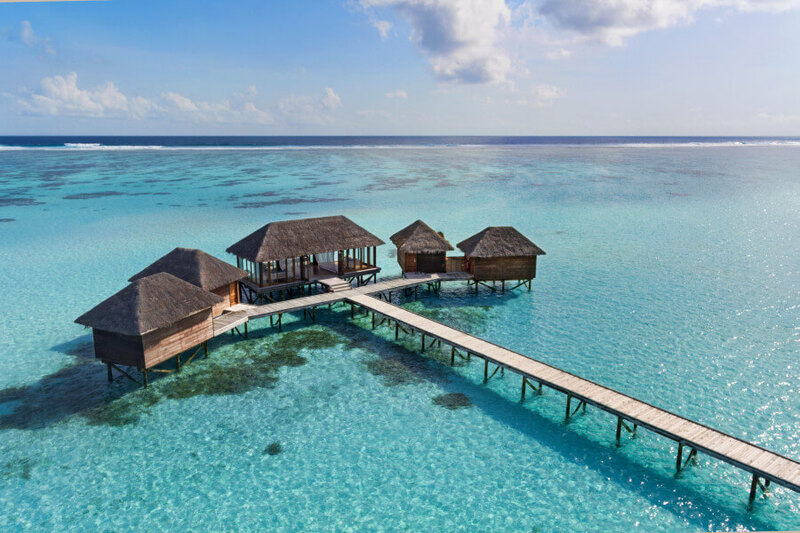 Rangali Island is home to spectacular over water villas and enjoys a separate over water spa and yoga pavilion as well as 4 bars and restaurants as well as a wine cellar where guests can enjoy private dining. 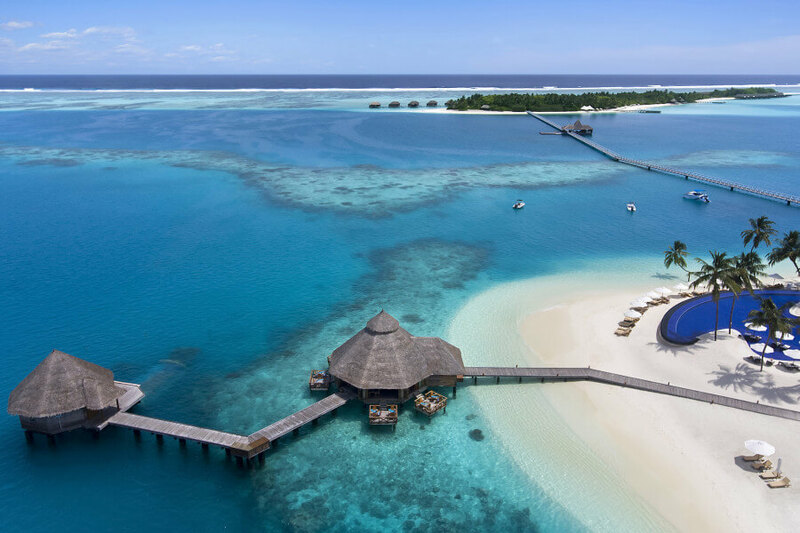 Rangalifinolu Island is the heart of the resort where there is a choice of accommodation from Water Villas to Beach Villas. Here there is a wealth of activities including an excellent children’s club, stunning over water spa, 7 restaurants and bars. 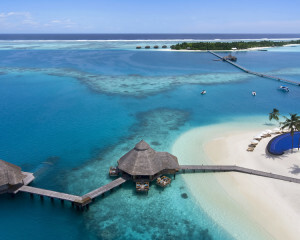 Guests can move freely between the two islands, with the exception of the adult only areas on Rangali. 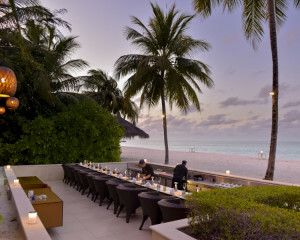 A haven for food lovers, the Conrad offers an unprecedented 12 bars and restaurants, more than any other in the Maldives. 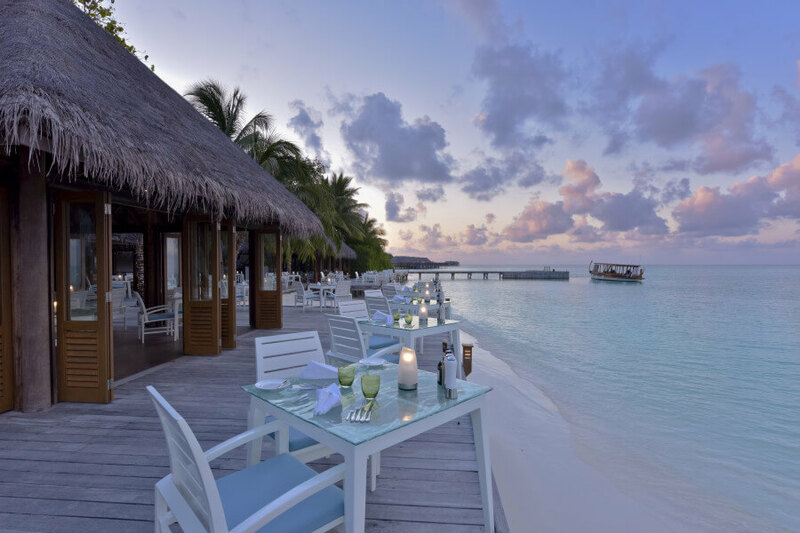 These include the world renowned Ithaa Undersea Restaurant, gourmet spa cuisine at Mandhoo Restaurant and freshly grilled seafood and meat at the Sunset Grill Restaurant. There’s even a cheese and wine bar with a black sand floor that specialises in over 101 of the world’s best cheeses. 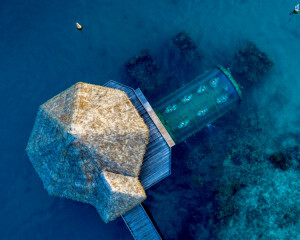 The Spa Retreat is a destination spa that sits on stilts over the lagoon and is a superb holistic facility with 21 Spa Water Villas, each with its own treatment room. 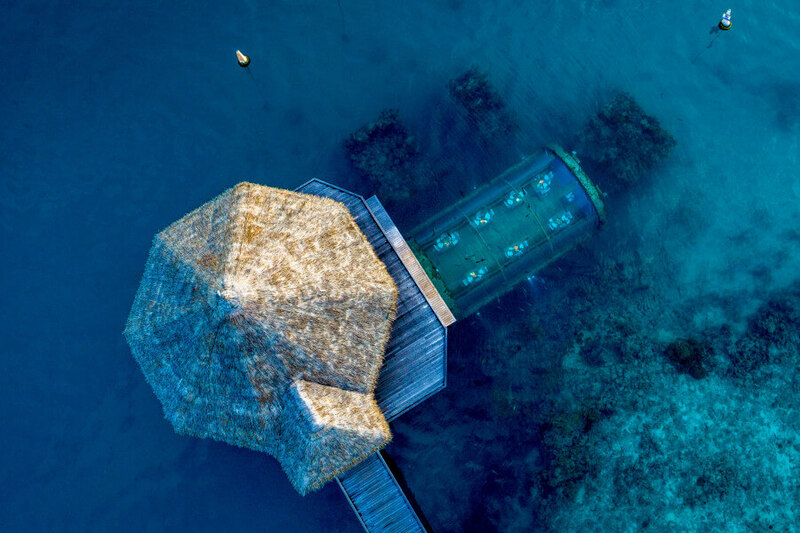 For those that like to incorporate spa treatments into their holiday, there is a second over-water spa that houses 4 treatment suites for couples and offers a range of rituals. 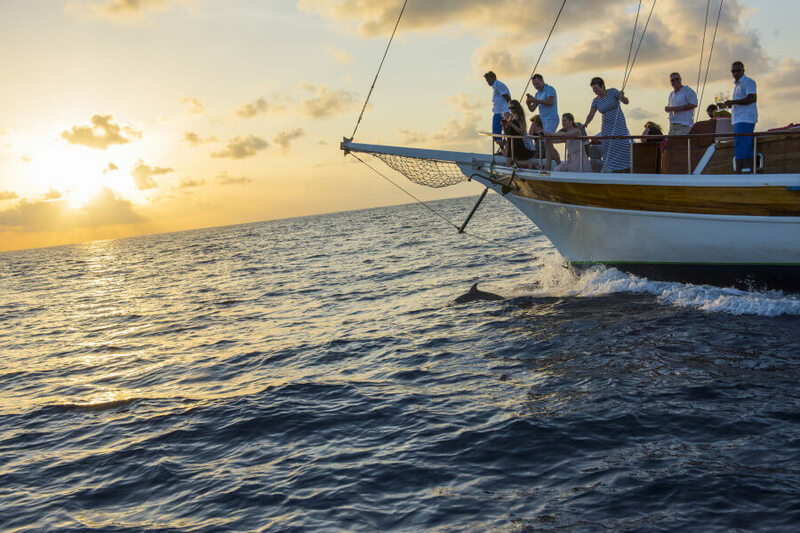 Other activities include diving, snorkelling and water sports including catamaran sailing, windsurfing, canoeing, wakeboarding, knee boarding and water cycling. Junior guests will have a thrilling time with a fantastic Children’s Club which offers a superb choice of land and water based activities. 35 Beach Villas offer oceanfront living, beach views, a private terrace and a wonderful outdoor garden-bathroom. Twin-bedded villas available in this category. Sleeps 3 adults (with 1 extra bed) or 2 adults and 2 children (with 2 extra beds). 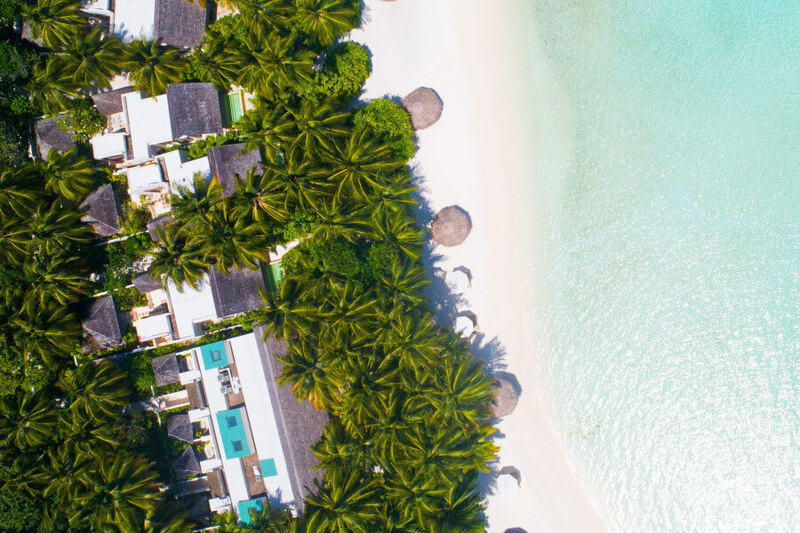 44 Deluxe Beach Villas: Set on the beachfront on Rangalifinolhu Island, and full of light and space, the Deluxe Beach Villas combine spacious interiors and exclusive furnishing to produce a sophisticated blend of luxury and natural harmony in a contemporary Maldivian style. Twin-bedded villas available in this category. Sleeps 3 adults (with 1 extra bed) or 2 adults and 2 children (with 2 extra beds). 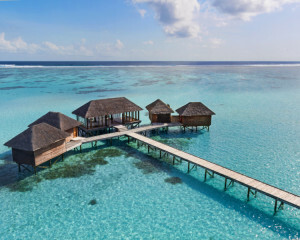 28 Water Villas: These luxurious Water Villas are built on stilts over the lagoon and have sweeping views of the Indian Ocean and the resort’s beach. 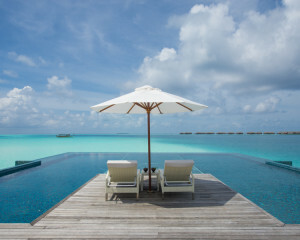 They include a sun deck which allows direct access to the lagoon from the villa. Twin-bedded villas available in this category. Sleeps 3 adults (with 1 extra bed). No children under 12yrs old are allowed in the Water Villa category. 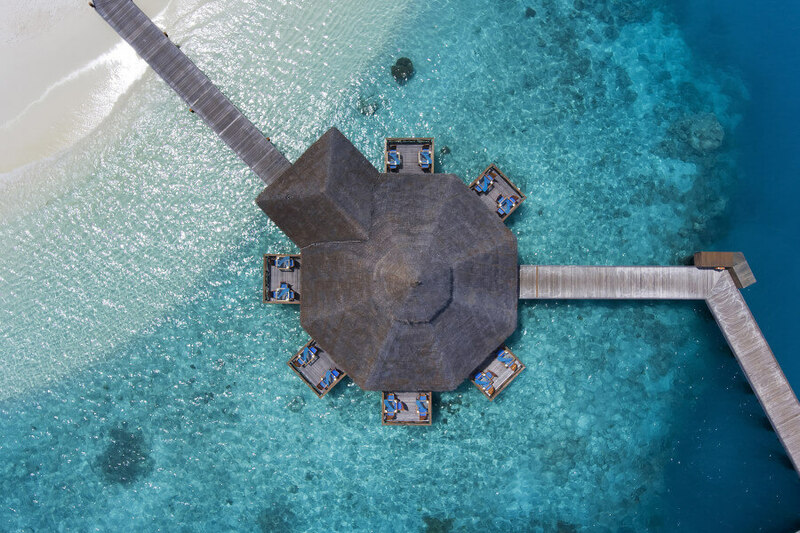 12 Superior Water Villas: Set on stilts above the lagoon, these beautifully finished and spacious villas have direct access to the lagoon. Sleeps 3 adults (with 1 extra bed). 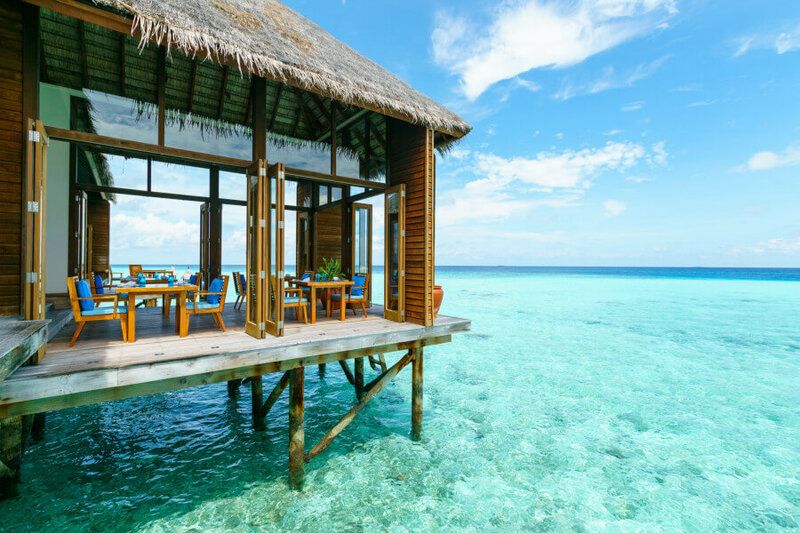 No children under 12yrs old are allowed in the Superior Water Villa category. 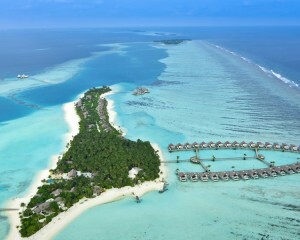 Deluxe Water Villas: The spacious Deluxe Water Villas offer a true taste of Maldivian luxury and design. Sleeps 3 adults (with 1 extra bed). No children under 12yrs old are allowed in the Deluxe Water Villa category. 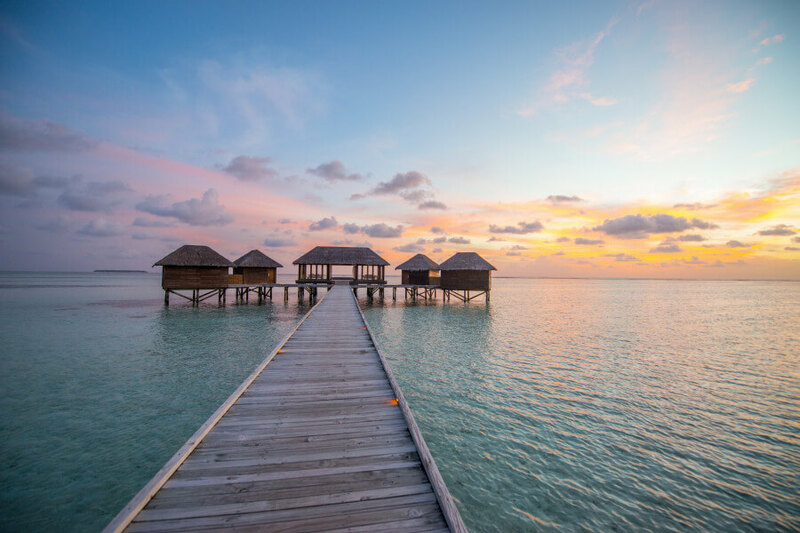 Up to 500 metres out to sea, the Retreat Water Villas are the perfect retreat and include an in-villa massage room and sundeck. 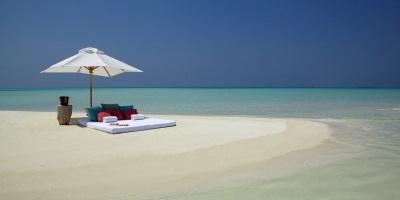 Their secluded setting has the added bonus of the therapeutic sound of lapping waves soothes to help de-stress. Twin-bedded villas available in this category. Sleeps 3 adults (with 1 extra bed). No children under 12yrs old are allowed in the Retreat Water Villa category. 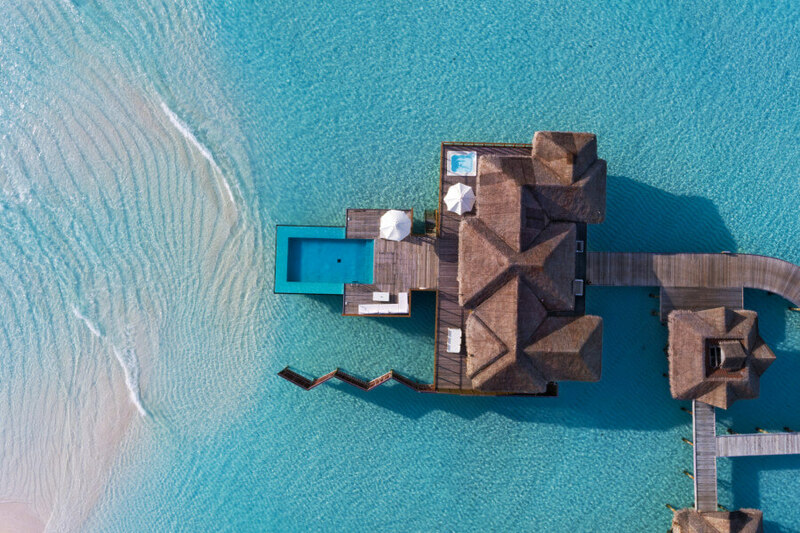 Set on stilts in a private area of the resort’s lagoon, these two-bedroom Water Villas (150sq m) are the perfect retreat for families with older children or a group of friends. Relax on the private sundeck with large jacuzzi and steps leading directly into the lagoon below. Ideally located near the Spa Retreat, these villas offer a master bedroom with one king-size bed and a second bedroom with twin beds. Sleeps 3 adults or 2 adults and 2 children. 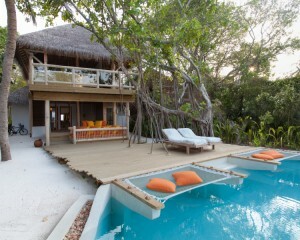 These two 152 sq m villas are set on stilts over the water and feature an outdoor sundeck with a large infinity pool. The sundeck also features wooden sun loungers, an umbrella and a coffee table. In the center of the bedroom is a king size ’floating’ bed, while in the bathroom, a sunken bathtub sits surrounded by floor-to-ceiling windows. 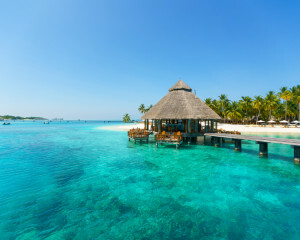 This air-conditioned villa also comes with a refrigerated mini-bar, CD stereo with iPod connector, designer furniture, a 50-inch plasma TV and a range of indulgent bath products. Sleeps 3 adults or 2 adults and 2 children. 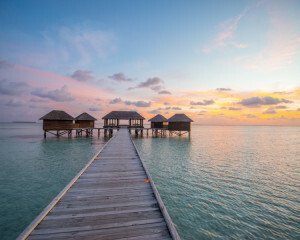 Children under 12 years old cannot be accommodated in over-water villas. Set on stilts above the lagoon, these beautifully finished and spacious 2 bedroom villas have direct access to the lagoon and benefit from the services of a private island host. 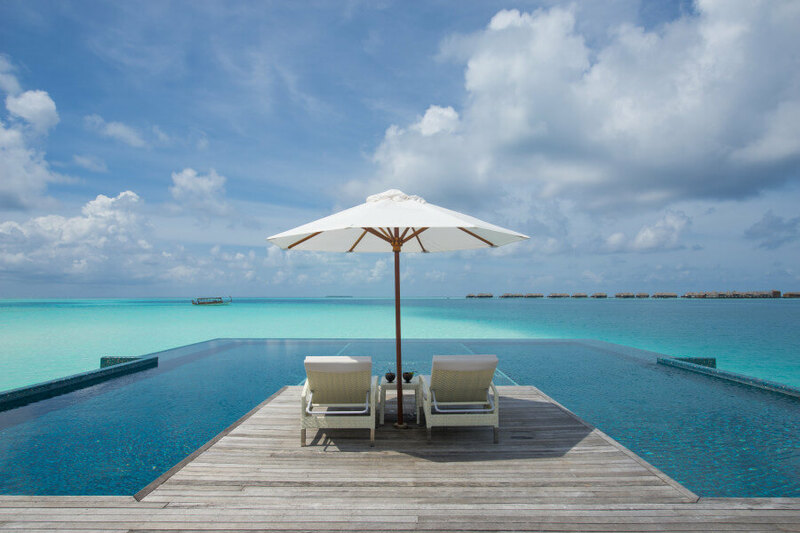 These luxurious and exclusive villas sit at the end of a jetty with spectacular sunset views from the expansive deck and pool. Sleeps up to 6 guests - adults or children. The two Junior Beach Suites (up to 368sqm) comprise a Deluxe Beach Villa with the addition of a large living room with floor-to-ceiling windows overlooking the suite’s pool and garden. They offer a spacious light-filled glass-enclosed living room adjoining the large bedroom which in turn opens onto an open-air garden bathroom. 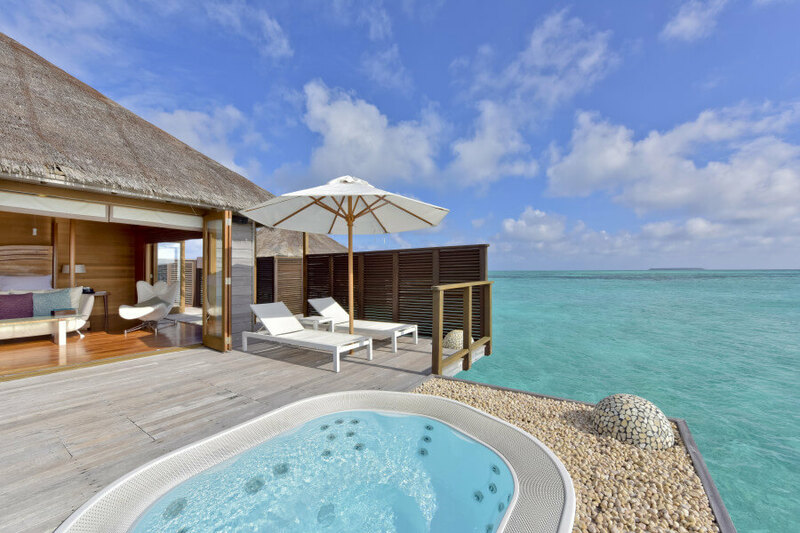 The Junior Beach Suites feature a private plunge pool set in its own garden area just steps from the beach. 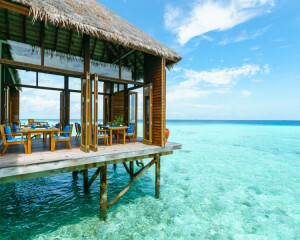 The west-facing Junior Beach Suite offers views of spectacular Maldivian sunsets while the suite on the east side of the island is an easy paddle to the coral reef. Sleeps up to 3 adults or 2 adults and 2 children. The 2 two-bedroomed Beach Suites (up to 668sqm) offer prime beachfront positions on the main island, one facing the sunrise and one the sunset. Comprising a Junior Beach Suite and a Deluxe Beach Villa, the luxurious suites include two private plunge pools set in landscaped gardens, a glorious sun-filled living room with floor-to-ceiling windows and two outdoor garden bathrooms with a courtyard, fountain, bathing pavilion and an open-air shower. 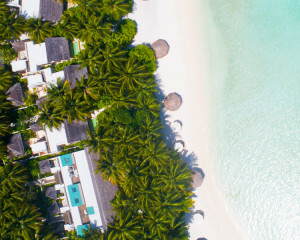 The villas have their own private gardens filled with lush foliage native to the Maldives where guests can relax on their own private veranda or pool. Close by, on the other side of the exotic landscaped garden are the beach and the turquoise waters of the ocean. Guests staying in a Beach Suite enjoy the services of a private Island Host. Sleeps up to 6 guests. 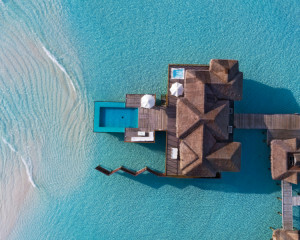 Comprising of two Premier Water Villas, the Premier Water Suite (304sqm) is an outstanding two-bedroom hideaway, on stilts, set above the lagoon with two over-water swimming pools set on a spacious wooden deck that faces west to showcase the dramatic Maldivian sunsets. Special features include two large bathrooms, each with a sunken Jacuzzi, as well as butler service and an inviting open-plan living area with floor-to-ceiling windows. Bedecked with the latest designer touches such as 50-inch plasma screen TV, beds that appear to ’float’ above the floor and stunning raised chill out beds over the water on the extensive sun deck, this contemporary haven offers exclusivity and luxury. 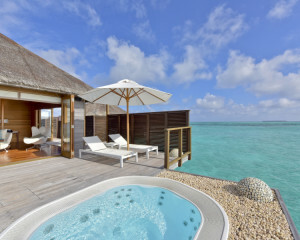 Guests staying in the Premier Water Suite enjoy the services of a private Island Host. Sleeps up to 6 guests. 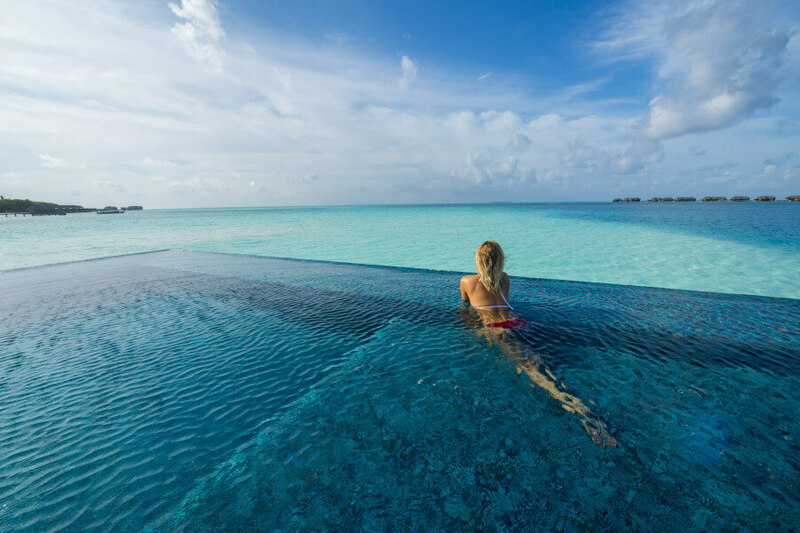 Accommodation at Conrad Maldives Rangali Island includes 50 of the most luxurious Water Villas in the Maldives, 79 exotic Beach Villas and 21 fabulous Spa Water Villas - the ultimate in pure indulgence. Villas have the following as standard: air conditioning, bathrobe, CD player, ceiling fan, dining table and chairs, DVD player, flat-screen TV, full-size fridge, hairdryer, high speed internet access, iPod connector, Molton Brown toiletries, Nespresso machine , outdoor terrace with sun lounger, private courtyard with fountain, safe, satellite TV, sofa bed and tea making facilities. 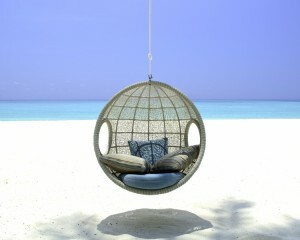 Activities include: tennis, table tennis and beach volleyball. 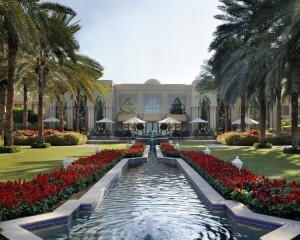 The Conrad’s huge array of different dining options is fantastic and caters for virtually every possible culinary whim. 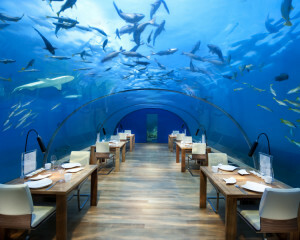 Ithaa Undersea Restaurant - Maldivian-Western fusion cuisine. KOKO Grill – Japanese Teppanyaki cuisine. 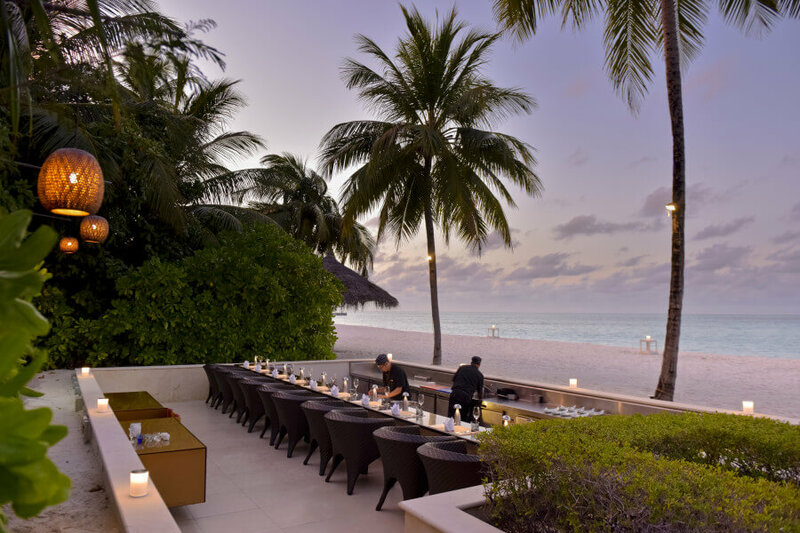 Mandhoo Spa Restaurant - Gourmet Spa cuisine. 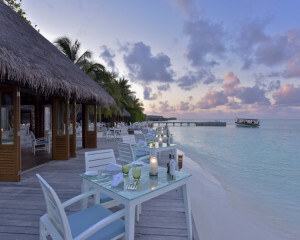 Vilu Restaurant and Bar- Mediterranean cuisine with an Asian twist. Rangli Bar is the perfect place to relax and enjoy a light snack whilst enjoying a glass of wine, cocktail or beer whilst soaking up nightly entertainment and soak up lagoon views. This tented beach lounge on Rangali island is for over 16s and has a fully stocked bar and tempting lunch and dinner menu. Dress code is casual. With its black sand floor and intimate space guests can try over 100 varieties of cheese each of which has been carefully selected by the Maitre de Fromage. Guests can enjoy informal wine and cheese tastings as well as regular fondue and tapas evenings. 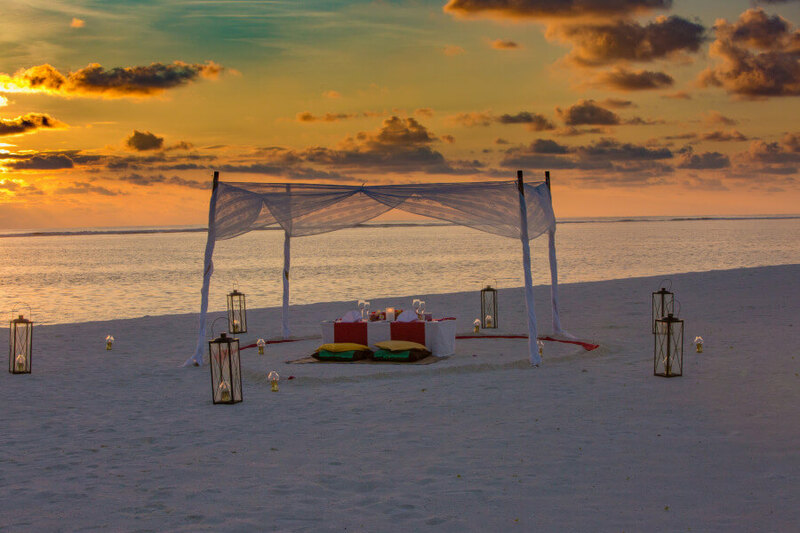 Alternatively, desert island picnics; dinner on the beach; dinner on your villa deck under the stars or onboard the resort’s luxury yacht are also possible. 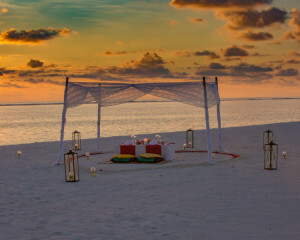 Romantic ‘Lobster and Champagne’ beach barbecue dinners are also held weekly at sunset. Majaa Kids Club offers children and parents a fun filled entertainment schedule packed with activities and themed daily programs. Little explorer favourites include the Pirate Cruises, Coral Education and Little Chef Workshops. Due to health & safety reasons, children under 12 years are not allowed in over-water accommodation. 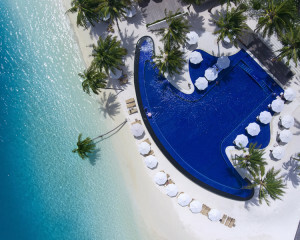 The Conrad Maldives Rangali Island is the perfect honeymoon destination and offers honeymooners a Fruit Basket & 1 bottle of Champagne in the villa on arrival; One Half-day excursion (choose from: Mandhoo Island Tour, Fishing Village, Snorkelling safari, Dhoni Sunset Cruise, Sunset Fishing or Night Fishing); one romantic Bath Experience for the couple and one romantic 3-course menu candlelight dinner at Mandhoo Spa Restaurant, excluding beverages. Stay a minimum 4 nights and receive the following per villa per stay: Fruit basket & 1 Bottle Champagne in the villa upon arrival; One Romantic 3 course menu candlelight Dinner, excluding beverages. 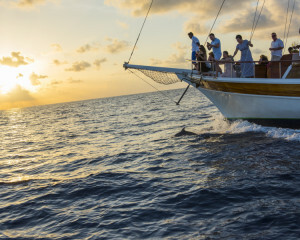 Stay a minimum 8 nights and receive the following per villa per stay: Fruit Basket & 1 Bottle of Champagne in the villa upon arrival; One Romantic 3 course menu candlelight dinner, excluding beverages; USD100 credit per couple per stay against an excursion of the guests choice excluding Whale shark Snorkeling. No cash refund will be offered. A copy of marriage certificate (less than 12 months since wedding) to be presented at check in, in order to qualify for both offers. 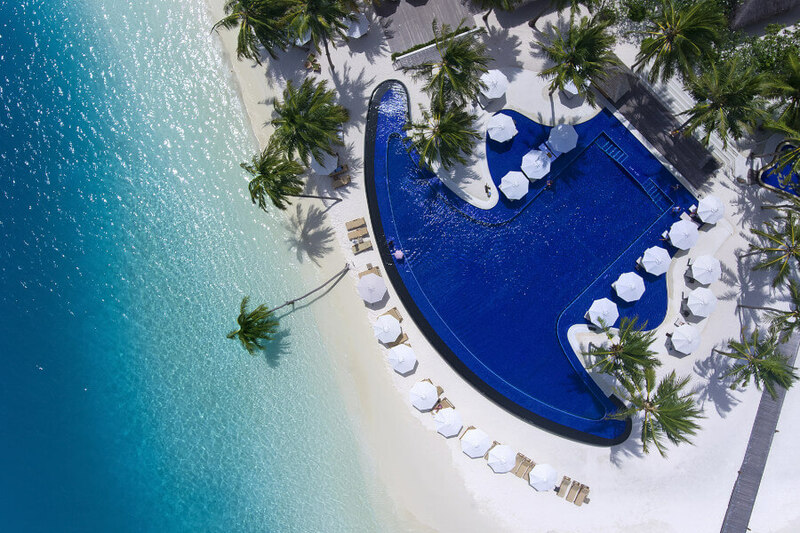 Receive a complimentary upgrade to Half Board plus when staying between 12 April - 02 November 2019. This offer can be combined with other offers. Bookings must be confirmed on or before 15 May 2019. Receive a complimentary upgrade from Bed & Breakfast to Half Board for stays between 09 May to 27 September 2019. Available for 2 adults only, additional guests sharing must pay applicable meal plan supplement. Terms and conditions apply. Free nights available for stays between 07 January - 18 December 2019. Stays between 5 - 9 nights will receive 1 complimentary night, 10 - 13 nights 2 complimentary nights, 14 - 19 nights 3 complimentary nights and 20 nights 4 complimentary nights. A complimentary upgrade to half board is also offered for clients staying between dates 09 May - 27 September 2019. Offer is room specific, some rooms are excluded from this offer. Transfer time: 30 minutes by seaplane from Male Airport. Alternative transfers by domestic flight and boat make it possible to arrive at night but take a total of approx. 1 hour.